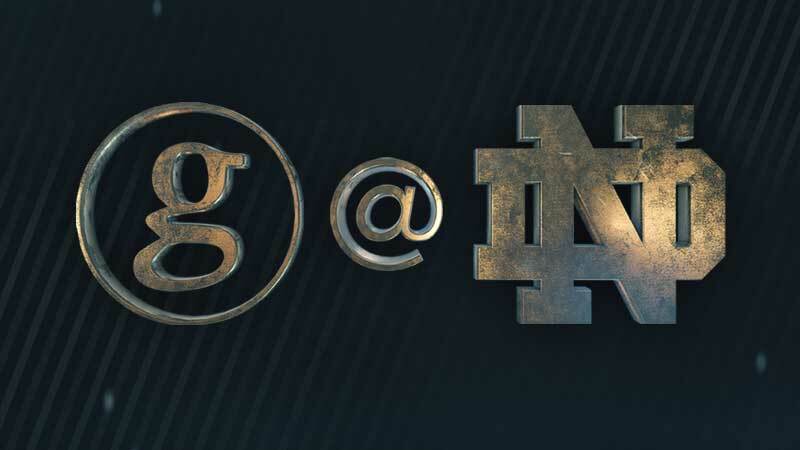 Nashville, TN - July 9, 2018- Reigning CMA “Entertainer Of The Year” Garth Brooks has been invited to play the first-ever concert at Notre Dame Stadium. At a press conference in Nashville, TN, the ground-breaking news was revealed that the storied venue, established in 1930, will host its inaugural concert with a special headlining performance by Brooks, at a to-be-announced date. Brooks was joined by revered member of the University of Notre Dame family and former head football coach Lou Holtz, who shared in the excitement of the upcoming monumental event. “Tradition and memories are built in that stadium. It’s an iconic place,” said Mike Seamon, Vice President for Campus Safety and Event Management at Notre Dame. “This is an important moment and once we decided we were going to have a concert, Garth just jumped into our minds right away. And we knew that he had to be the one. That was it."